Outdoor furniture for your next backyard makeover! Our customers come to us, not just for pools and spas, but for a complete backyard oasis. In order to meet those needs, Aqua Pools carries high-quality outdoor and patio furniture, including the Perfect Choice line of furnishings. In addition to the furniture you see in our Homer Glen and Worth showrooms, we can special order furniture to meet your exact needs, taste, and style. 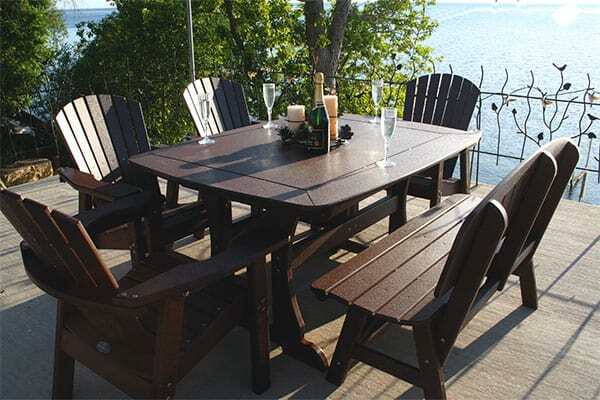 Whether you’re looking for lounging chairs for the poolside, dining sets for your outdoor kitchen, or just a few accent pieces to liven up your backyard areas, Aqua Pools has the right outdoor furniture for you!